The pilot reported that during the landing roll the airplane veered to the right. 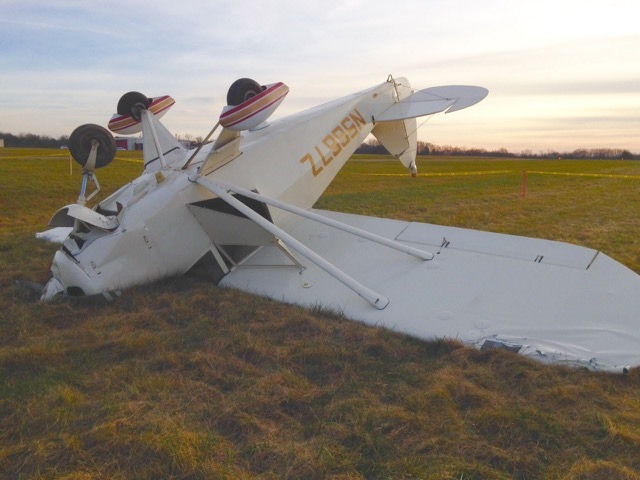 He responded by applying left rudder, but the airplane departed the runway to the right, impacted a ditch, and nosed over. The left wing strut sustained substantial damage. 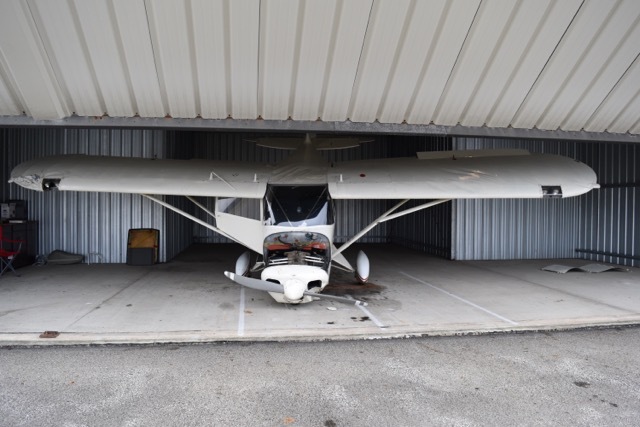 NEW CASTLE, Pa. (WKBN) – A small plane flipped over as it was attempting to land at the New Castle Municipal Airport in Lawrence County around 2:30 on Sunday afternoon. 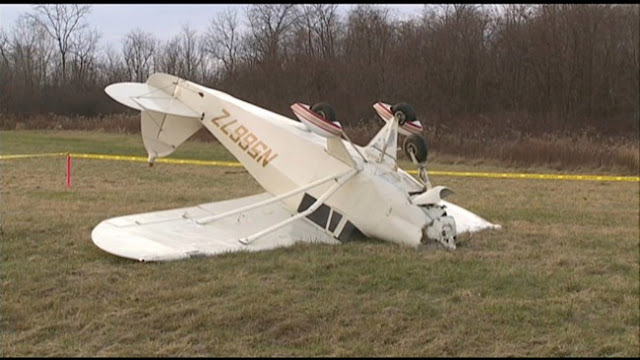 The pilot, who didn’t want to appear on camera, told WKBN that he was coming in for a landing, when the plane flipped over and went off the runway, into a ditch. He took off from Beaver and was the only person on board, walking away without a scratch. David Kelty has been flying in and out of the same airport for more than 20 years. “You can replace airplanes every day. As long as nobody gets hurt, that’s all that counts as far as I’m concerned,” he said. Kelty found out about this accident through a friend. It’s the third one he’s seen at the New Castle Municipal Airport.A plane flips over after attempting to land in New Castle. Kelty says when a pilot is taking off and landing at the airport, they’re not one hundred percent sure what the conditions are, so it’s always important to remain focused. At this airport, there is more than one runway that pilots can land on. They’re positioned in different directions for a specific reason. “You land and take off with the wind, so you have a choice what runway you want to use,” Kelty said. Pilots are still using the runway where the accident happened, because the aircraft flipped over onto the grass. Kelty says that runway is the longest at the airport. The Federal Aviation Administration is taking over the investigation. They’ll be at the crash scene tomorrow to figure out exactly what happened. DESCRIPTION OF ACCIDENT: AC departed runway, hit ditch, NG collapsed and AC flipped over. 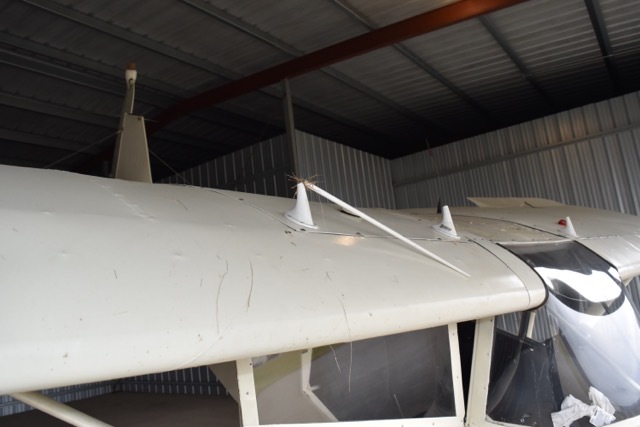 DESCRIPTION OF DAMAGES: One prop blade bent, Spinner, Lower Cowling, Baffle area, NG, engine mounts, LH wing Strut, LH wing Root, LH wing OB and LE. Top of Rudder, Top of Fuselage, Two antenna, RH wing OB Section, RH wing tip, RH wing LE. LH side of fuselage near the strut was wrinkled. LOCATION OF AIRCRAFT: Private Hangar at New Castle Municipal Airport (KUCP), PA.
ENGINE(S): Left & Right engines = 8246.2 TTSN / 563.0 SMOH Both overhauled 8/9/2006 by JB Aircraft Engines in Sebring, FL. OTHER EQUIPMENT: King KMA-24, Garmin GNS-530, King KX-165, Garmin GTX-330, PM3000 intercom, WX-10A, dual glideslope indicators. DESCRIPTION OF ACCIDENT: On 12/20/2015 smoke filled cabin and gear would not extend with aircraft landed wheels-up. Fire department then sprayed interior, cabin, instrument panel with water due to smoke indicating there was a potential fire (no fire developed). DESCRIPTION OF DAMAGES: Both props curled with sudden stoppage to both engines; belly abraded with skins and bulkheads damaged, lower antennas destroyed, left and right flaps damaged, entry step damaged. Water damage to interior. Aircraft dismantled for transport. REMARKS: Aircraft dismantled. Adjuster has logs and records. 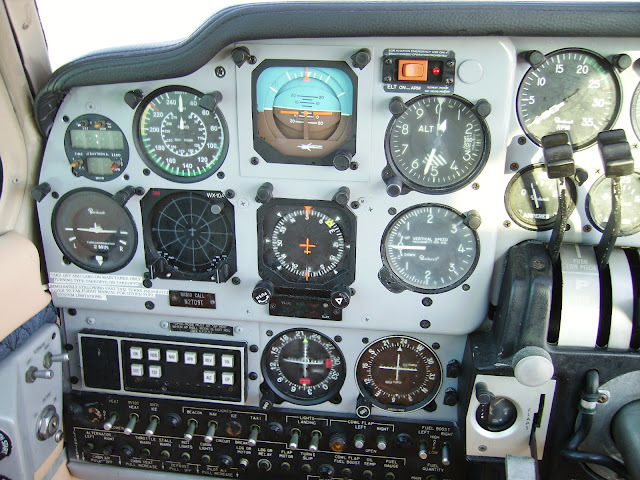 Avionics with aircraft. 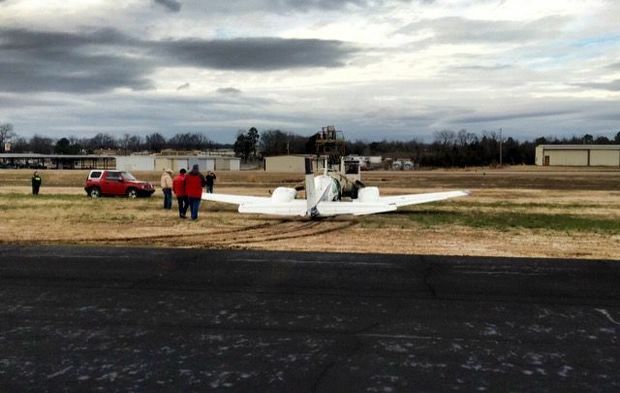 AIRCRAFT LANDED GEAR UP UNDER UNKNOWN CIRCUMSTANCES, RUSSELLVILLE, AR. 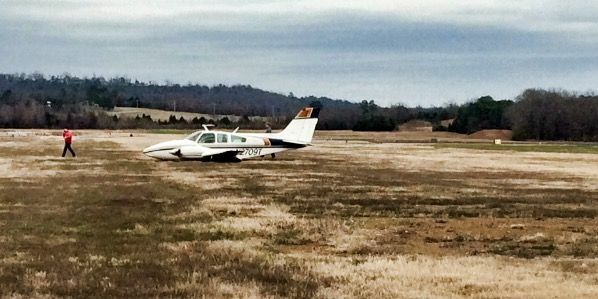 The Russellville Fire Department and Pope County EMS were called to respond to the Russellville Regional Airport after the pilot of a Beechcraft 55 Baron aircraft, made radio contact with airport officials stating that the plane would be making an emergency landing at the airport, Sunday afternoon, December 20. According to airport officials the plane was piloted by Yan Venter of Russellville, who was returning from an out of town trip. Venter contacted airport officials around 2:30 p.m. and advised airport personnel that his landing gear was disabled and he was going to orbit the field to attempt to get it to work. When Venter contacted officials he was approximately 10 miles out from the airport. After the landing gear continued to fail and the manual emergency release on the gear failed as well, Venter advised he would need to make an emergency landing, "a wheels up landing." Airport officials called 911 and requested the Russellville Fire Department and Pope County EMS to respond the airport and be on standby. 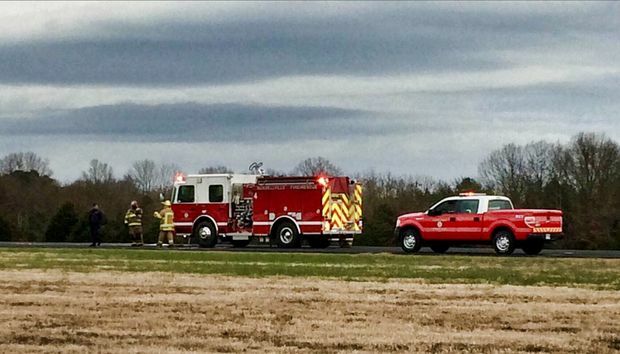 RFD Engine 1, Engine 4 and Battalion 1, as well as Pope County EMS, arrived on scene at the airport and positioned themselves on the field located next to the runway as Venter made his approach and attempted to land his aircraft. Venter put the plane down on the runway about mid field and it came to rest successfully. Venter, the only occupant of the plane, exited the aircraft uninjured. 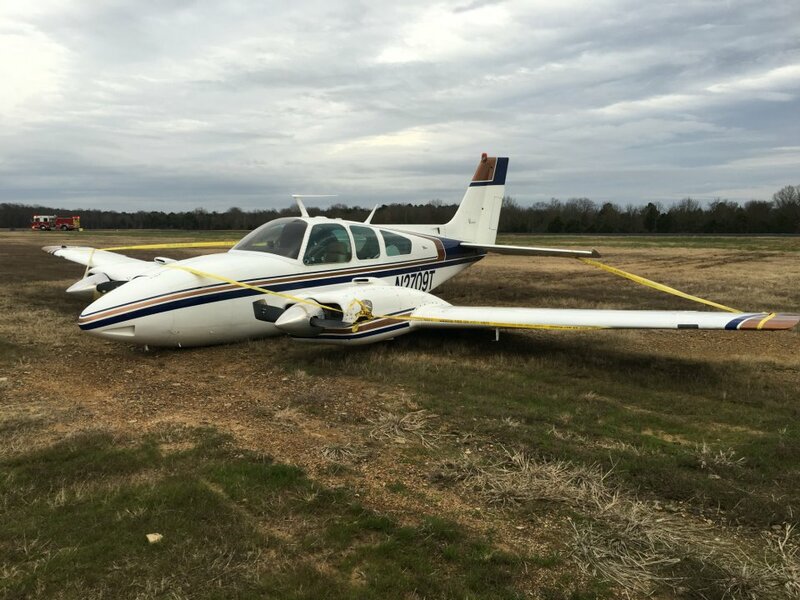 The runway was closed for a period of time as clean up was performed by the Russellville Fire Department and airport officials. 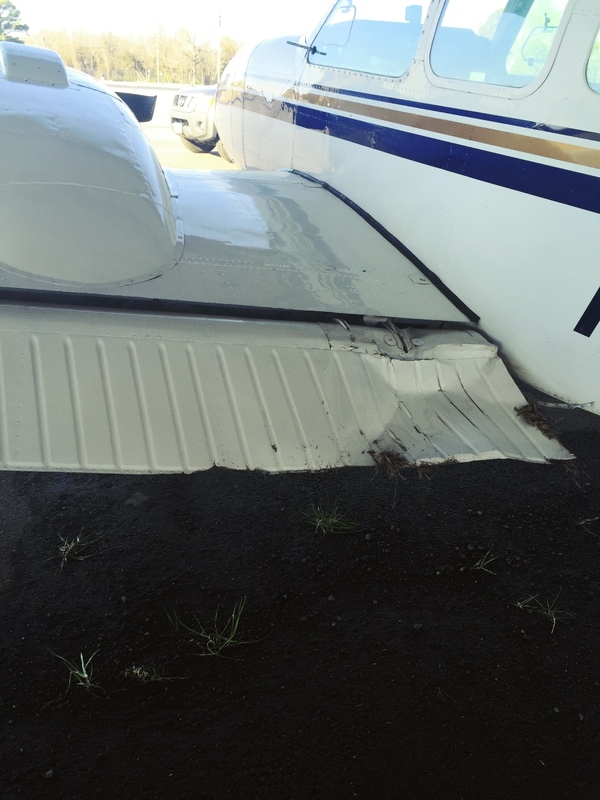 Prop strikes were observed on the runway where the plane struck the ground and began to skid and then stop but significant damage to the runway did not occur. 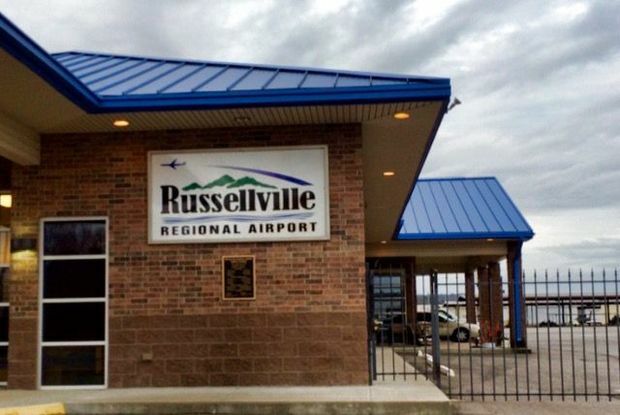 Russellville Regional Airport Director Keith Frazier stated to River Valley Leader, "the landing Venter performed was "text book." "This was about the best ending you could hope for in this situation," Frazier said. The disabled plane will remain in the field in between the runways until Venter's insurance company and salvage company are able to arrive. It's anticipated that the plane will remain in the field for the next 48 hours. On a warm, sunny mid-June afternoon, about 20 miles out from Logan International Airport and a half-mile in the sky, the pilot of a Jazz airline flight from Montreal on its final approach spotted a red-and-black object. It was a drone, and it was way too close. It missed colliding with the hurtling 50-seat plane by just 25 yards, according to a report filed with the Federal Aviation Administration. The close encounter with the drone was one of 26 in Massachusetts reported to the FAA during the nine month period ending Aug. 20. 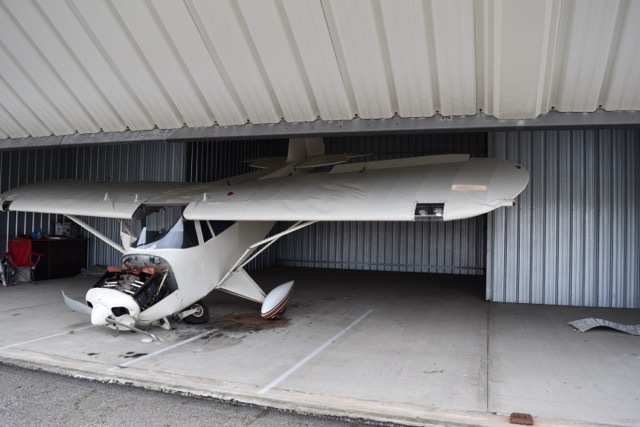 They are among the increasingly common near-collisions that have aviation safety officials warning that it is just a matter of time before some of the popular, unmanned crafts crash into planes and helicopters, potentially causing significant damage and even deaths. Massachusetts had the seventh-highest total of drone encounters of any state. Seventeen of the reports to the FAA were made from Boston, which tied for the sixth highest total of any city nationwide. If a drone is been sucked into the airplane’s engine or collided with its wings, tail, or other vulnerable equipment, the result can cause catastrophic damage, according to recent research. Even a small drone could cause major problems if it were to collide with an aircraft. A near-collision could also cause pilots to suddenly veer off course. Helicopters are considered most at risk because they spend more time at the same altitudes as drones. During all of 2014, the FAA received 238 reports of drone sightings nationwide. In the first 7 and a half months of this year, the agency received 721. Some reports have been made by pilots flying as high as 10,000 feet. The vast majority of the reports are collected from plane and helicopter pilots or air traffic control officials. In Massachusetts, 22 of the 26 reports were made by pilots and air traffic officials; four others were reported by law enforcement officials on the ground or other witnesses. In addition to sightings at or near Logan, there have been sightings reported near airports in Worcester, Martha’s Vineyard, Beverly, New Bedford, Lawrence, Norwood, and at Hanscom Field in Bedford. ■ On the afternoon of May 3, the pilot of a Hawker Beechcraft BE90 jet reported a near-collision with a 20-foot-long drone at an altitude of 2,500 feet nine miles northwest of Boston. The pilot also reported spotting one the day before in the same general area. ■ On the evening of Aug. 17, the pilot of a JetBlue flight waiting to take off saw two unmanned aircraft at about 1,000 feet flying across the arrival end of two Logan Airport runways and notified State Police. In the western part of the country, drones trying to get a close-up look at raging wildfires have forced firefighting aircraft to be grounded temporarily. Researchers at the Center for the Study of the Drone at Bard College, for a report released this month, analyzed hundreds of drone sighting incidents tracked by the FAA and the Department of Interior. They found that in 36 percent of the incidents the drone “presented some level of hazard to manned aircraft. In the remaining 64 percent of cases the drone “did not pose immediate danger of collision,” the study found. Estimates of the number of drones owned nationwide are in the hundreds of thousands. Their popularity is expected to continue to rise as small drones designed for recreational use have become cheaper. The Consumer Technology Association has estimated that 700,000 drones will be purchased in the US this year, including 400,000 in the holiday shopping season. Flying drones recreationally is legal. But federal aviation rules still apply. The rules say that people cannot fly the devices over 400 feet in the air; must keep the devices away from other aircraft, particularly around airports; must keep them in sight; and must keep them outside of restricted areas. The FAA announced last week that owners of small drones must register their devices with the agency and mark the machines with the owner’s unique registration number by mid-February . The commercial use of drones is largely banned, although the agency is in the process of drafting rules that would allow the unmanned aircraft to be flown for commercial purposes. In the meantime, the FAA has issued more than 2,600 special permits for companies, including more than 20 in Massachusetts, to operate drones on a case-by-case basis. Insurance company Liberty Mutual and defense contractor Raytheon are among the commercial permit holders in Massachusetts. Logan airs public service announcements inside the airport, telling the traveling public not to fly drones near airports, and airport officials have asked vendors there to remove drones from their stores, Brelis said. Both Logan and the FAA also work with law enforcement to investigate illegal drone activity. Tim Canoll, president of the Air Line Pilots Association, has urged the FAA to regulate the use of unmanned aircraft. He said they can be used to accomplish various tasks that would be dangerous for manned aircraft. Senator Edward J. Markey and others in Congress have called for oversight of drones to improve safety and to protect privacy. Even some drone industry groups support better oversight, and want rules in place as soon as possible. But others have called for the FAA to slow down the process or to revise proposed regulations. BURBANK, California – A Southwest Airlines flight that was headed to Denver International Airport from Burbank Bob Hope Airport was struck in the wing by another aircraft that was backing out of the adjacent gate Sunday afternoon. 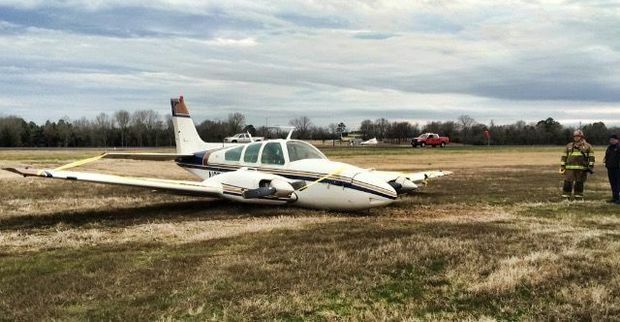 No one was injured on either plane following the apparent accident. 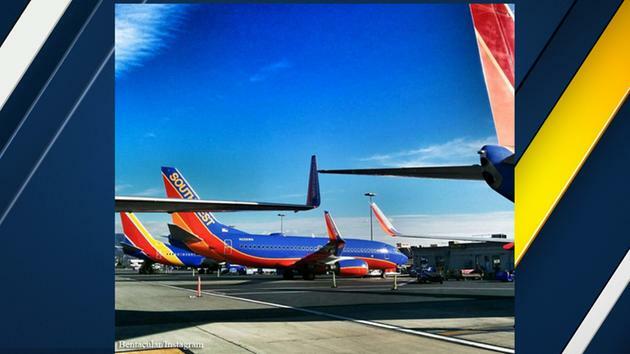 Both flights – Southwest flights #815 and #1240 -- were delayed indefinitely after the collision, according to Southwest. The airline is working to accommodate the 225 customers scheduled to be on the two planes, which are now being assessed for damage. The other plane involved was headed to Oakland International Airport. LOS ANGELES (KABC) -- Two planes bumped at a Los Angeles International Airport gate on Sunday, according to the Federal Aviation Administration. WEST MIFFLIN, Pa. — The Federal Aviation Administration and Allegheny County Police are investigating after a pilot reported seeing a drone not far from the Allegheny County Airport in West Mifflin. According to the Allegheny County Airport Authority, the drone was spotted three miles east of the airport around 10 a.m. Sunday. “The FAA has come out with regulations that you’re not allowed to fly drones within five miles of an airport or higher than 400 feet,” said Bob Kerlik, spokesman for the Allegheny County Airport Authority. Officials told Channel 11 News that the plane, a Canadair Regional (CRJ 2) aircraft, was 5,000 feet in the air when the drone was seen. It was recently announced that the federal government will require that drones be registered to make it easier to identify owners and educate amateur aviators. Owners will have to register on an FAA website that becomes available starting Monday. WEST MIFFLIN, Pa. —A drone was spotted by a pilot near the Allegheny County airport Sunday morning. According to Allegheny County Airport Authority spokesman Bob Kerlik, a pilot flying at an altitude of 5,000 feet spotted a black drone, 3 miles east of the county airport. A spokesman for the Federal Aviation Administration says the crew of a commercial flight operated by Air Wisconsin reported seeing the unmanned aircraft around 10 a.m. Sunday. Kerlik said the Allegheny County and Pittsburgh International Airports haven't had too many issues with drones. "Incidents like this, both at Pittsburgh International Airport and Allegheny County have been relatively rare, we have had a few incidents of drone sightings. People have been, I think, smart for the most part, not flying drones around airports," Kerlik said. Kerlik said current FAA regulations prohibit flying a drone within a 5-mile radius of an airport or above an altitude of 400 feet. Sky 4 pilot Del Richardson said he's had two close calls with drones while flying over the city of Pittsburgh. Richardson said despite a drone's size relative to a helicopter, they can cause real damage. 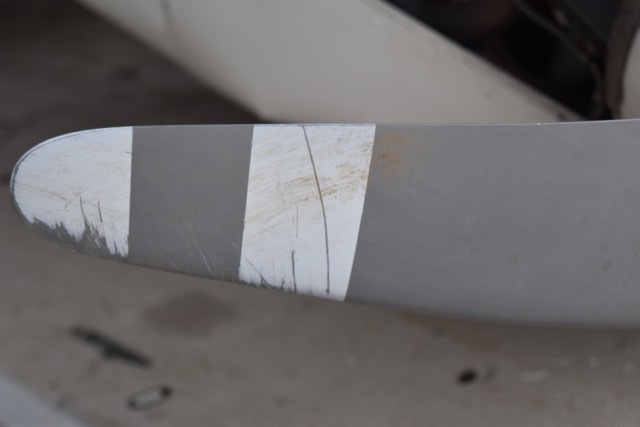 "It could hit the main rudder, causing imbalance, or it could get caught in the tail rudder and cause a systems failure of the tail rudder, in which case you'd get a loss of control," Richardson said. As for airplanes, Richardson mentioned the so-called Miracle on the Hudson. when a U.S. Airways flight was struck by birds and landed in the Hudson River. He said drones of a similar size can be scary. Richardson added that other helicopter pilots he's spoken with have seen similar issues as drones rise in popularity. 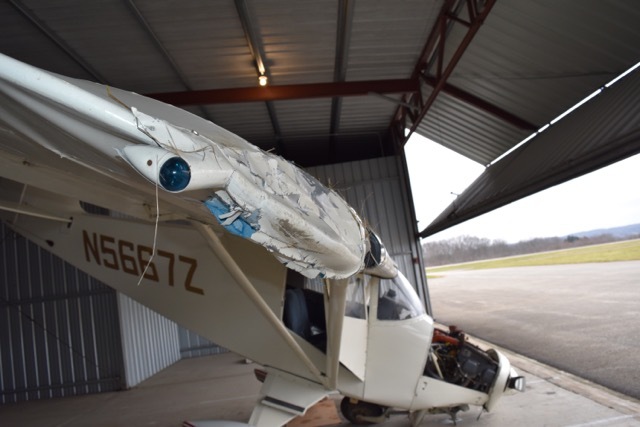 This close call at the Allegheny County airport comes a day before the Federal Aviation Administration will start requiring registration of drones that weigh more than half a pound. Richardson said drone registration is a good first step; however, he wants to see more regulations for operators as well. "Right now, I think they're very dangerous. Because the people who fly them aren't educated in flying. They're becoming Christmas gifts and novelty toys and they're fun, but they fly them in dangerous ways and in dangerous areas," Richardson said. 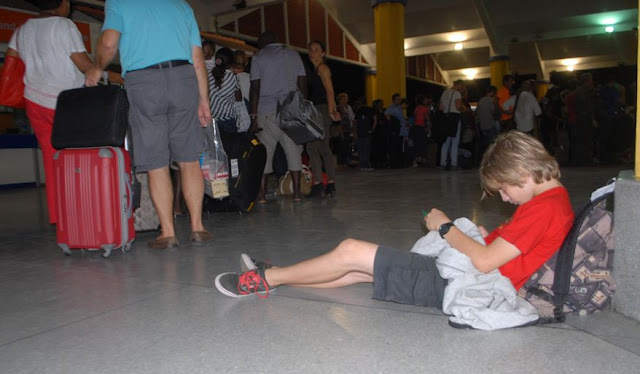 A child rests as passengers go through security screening at Moi International Airport Mombasa Kenya, Sunday, Dec. 20, 2015 after their earlier flight was involved in a bomb scare and they were evacuated to different hotels in Mombasa. The crude combination of a kitchen timer, paper and cardboard found in a lavatory on an Air France flight could have been a bomb, but the crew didn’t tell passengers of that possibility. Instead, people were told the plane had a technical problem and would be landing in Kenya instead of Paris. Sunday’s decision, which was short of the full truth, raises an ethical question about when passengers should be fully informed of problems in the air. But many experts say the crew of Air France Flight 463 did the right thing, avoiding panic and quickly landing the plane. Once on the ground, security officials determined that the device was a hoax, and passengers were told the full story. The Boeing 777, originally headed to Paris from the island of Mauritius, was diverted to Kenya’s coastal city of Mombasa. Hundreds of passengers left the plane on emergency slides. Afterward, several praised the flight crew for keeping everyone calm. Most airlines don’t have hard-and-fast policies on what to tell passengers, leaving that up to the crew, according to Alan Price, a former chief pilot for Delta Air Lines and founder of consulting firm Falcon Leadership. But experts say airlines should be thinking more about what to do in an era of increasing security threats and hoaxes. For Air France, this was the fourth bomb hoax in recent weeks. Crew members also have to weigh how much passengers can find out from other sources as more planes come equipped with Internet and television access. In 2005 a JetBlue flight that circled Los Angeles with a malfunctioning landing gear was captured by television cameras, and passengers picked up the live broadcasts on the plane’s cabin monitors. Price said he would have told passengers of that problem and reassured them. They also would have seen emergency equipment waiting on the tarmac, he said. Paul Hudson, president of Flyersrights.org, a passenger advocate group, also agreed. 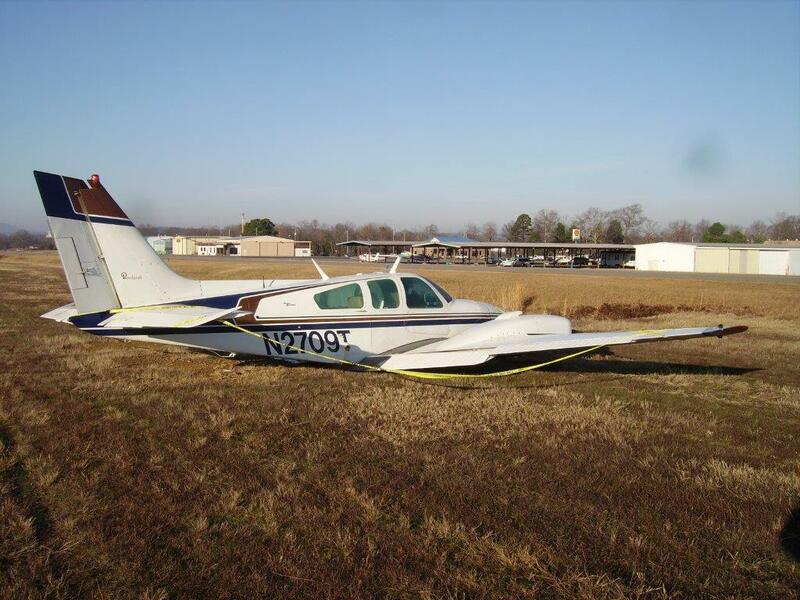 The private pilot was conducting a personal cross-country flight. The pilot last fueled the airplane 10 days before the accident. Review of GPS data and fueling records revealed that between the last fueling and the accident, the airplane had been operated for nearly 4 hours. Several witnesses observed the airplane flying overhead as it neared the destination airport and then saw it impact treetops near a golf course. One of the witnesses stated that the left wing was low and that the airplane was losing altitude "very quickly" before it impacted terrain. Another witness reported hearing the engine "sputtering" before impact. 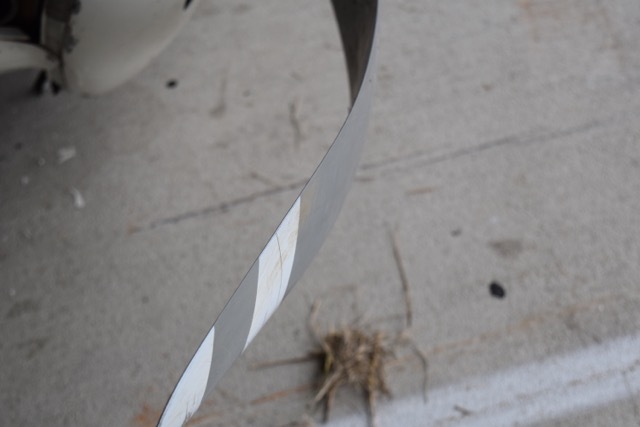 The witness drove to the accident scene and saw fuel leaking from the airplane. 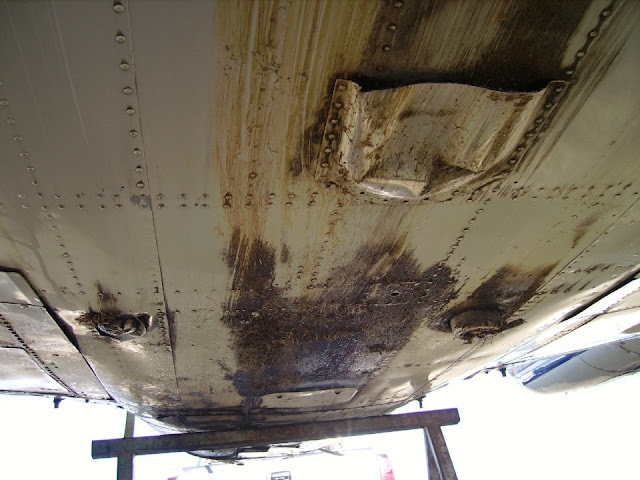 Examination of the airframe and engine revealed no evidence of any preimpact mechanical malfunctions or abnormalities that would have precluded normal operation; however, the examination noted alack of rotational signatures on the propeller. The right fuel tank was found intact and empty. The witness's description of the engine sputtering as well as the lack of rotational signatures on the propeller suggest that the engine had likely lost power before the impact. 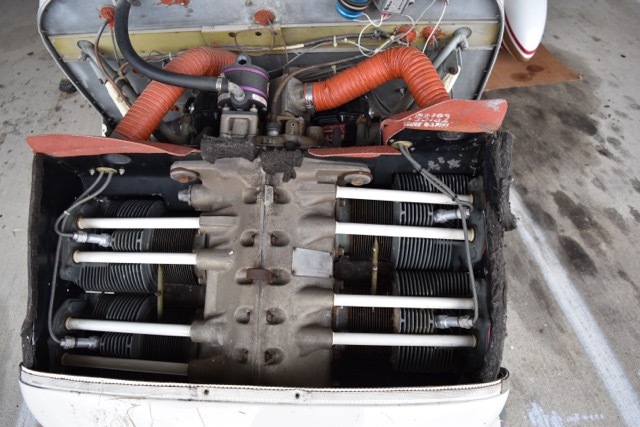 Although the fuel selector was found in the left fuel tank position, it could not be determined what position the selector valve was in before the loss of engine power. 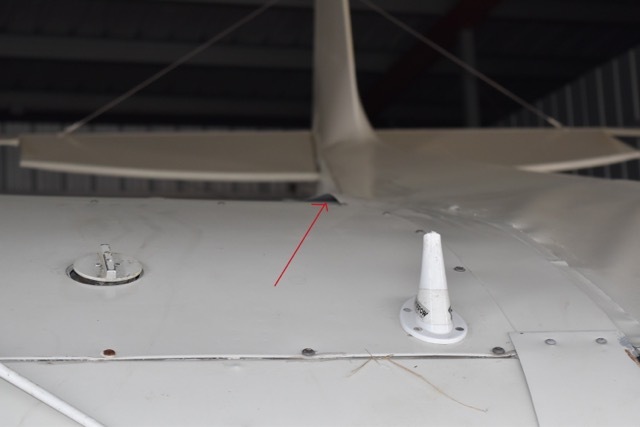 It is possible that the pilot exhausted the fuel in the right fuel tank and was attempting to restart the engine from the left fuel tank when the accident occurred; however, based on the available evidence, the reason for the loss of engine power could not be determined. A total loss of engine power for reasons that could not be determined because the examination of the wreckage did not reveal any mechanical anomalies that would have precluded normal operation. The overall number of fatal crashes of small planes fell about 5% from the year before, according to the Federal Aviation Administration. Here, a Beech C24R Sierra plane crashed at the Georgia Club golf course in Statham, Georgia, on December 20, 2015, killing the pilot. The rate of fatal accidents involving small airplanes in the U.S. declined slightly last year, despite years of escalating efforts by industry and safety regulators to dramatically reduce private aircraft crashes. In the data released Friday by the Federal Aviation Administration, there were 11.3 deadly general aviation accidents per one million flight hours during the fiscal year ending last September, roughly 3% below the three-year average. The overall number of such accidents declined roughly 5% from the year before, while total fatalities fell nearly 12%. Those statistics cover everything from home-built aircraft to single-engine, propeller-driven planes to noncommercial turboprops. However, industry officials say 2016 will usher in regulatory changes that are anticipated to result in more dramatic improvements. The revisions, among other things, are intended to accelerate installation of enhanced safety systems on private planes and ensure that new pilots have the necessary practical skills and theoretical knowledge. This year could “really be a milestone” for general aviation because the FAA is slated to complete far-reaching “changes in how we certify both pilots and airplanes,” according to Jens Hennig, vice president of operations for the General Aviation Manufacturers Association, the segment’s primary trade group. Such strategic moves “are the types of changes that can make a marked improvement in safety,” Mr. Hennig, who is a member of various expert advisory groups, said in an interview Saturday. The most recent results, which were circulated among government and industry experts and put out on the FAA’s website, still meet the agency’s internal performance benchmarks and document a slight improvement after what the FAA said were “relatively static” numbers stretching back to the beginning of the decade. The modest improvement, however, highlights the continuing challenges in significantly reducing the frequency of fatal accidents for the approximately 200,000 private aircraft registered nationwide. The goal for the government and industry is to slice the fatal-accident rate by 10% between 2009 and 2018. So far, private aviation has largely relied on the same type of consensus-based, voluntary safety initiatives that have helped U.S. airlines and the FAA eliminate fatalities stemming from commercial plane crashes over the past eight years. Airliners world-wide last year had a rate of less than two major accidents per million flight hours, but without a single passenger fatality on a jetliner stemming from pilot error, aircraft malfunctions, weather or other accidental causes, according to the International Air Transport Association. With the release of its data, the FAA stressed that various initiatives are under way in conjunction with manufacturers and pilot organizations to target the root causes of accidents. 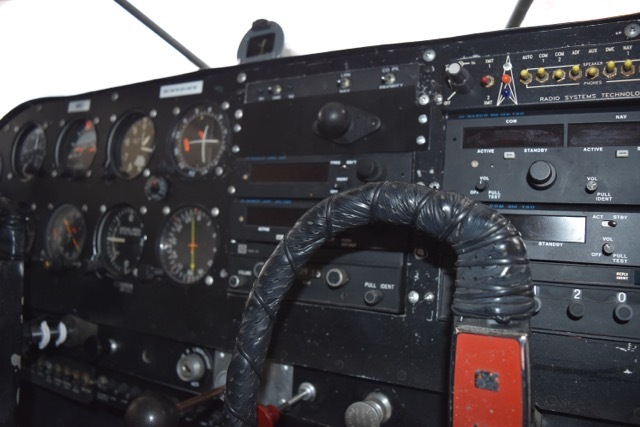 Until the new rules fully take effect, however, safety experts will continue to emphasize pilot education to prevent accidents, particularly in which aviators stall aircraft or otherwise get overwhelmed in perfectly functioning planes. 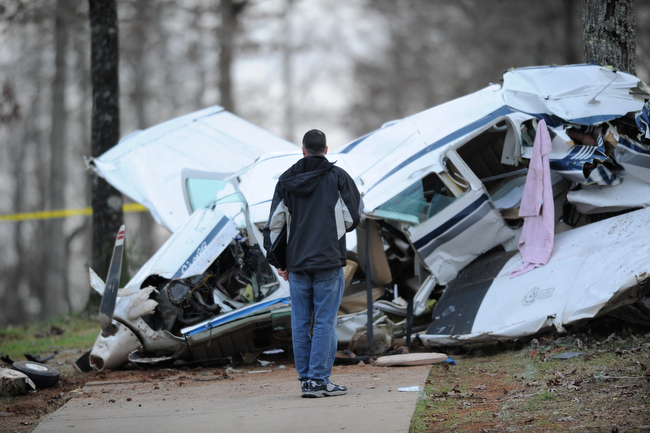 These “loss of control” accidents account for nearly half of all fatal crashes involving general aviation nationwide. Industry and government experts have identified more than two dozen safety enhancements, ranging from training to hardware, to combat loss of control accidents. 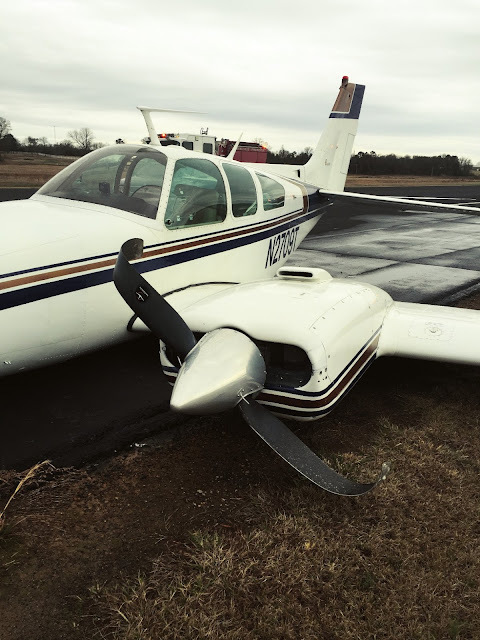 On a wider scale, the FAA and general aviation groups are beginning to use voluntary safety reports to pinpoint and try to mitigate budding hazards. 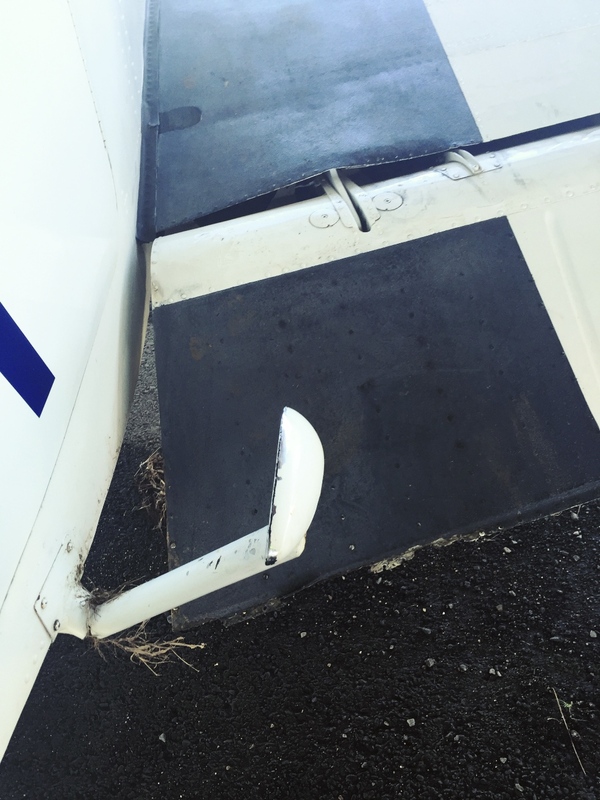 General aviation accidents and incidents are now being incorporated into broader, industrywide databases “to identify trends and look for system risks,” according to the FAA. At a “safety summit” between the FAA and private-aviation representatives in Washington on Thursday, Michael Whitaker, the agency’s No. 2 official, said the private-aviation segment’s fatal accident rate was beginning to decline, yet still more than 380 people died in general aviation crashes last year. 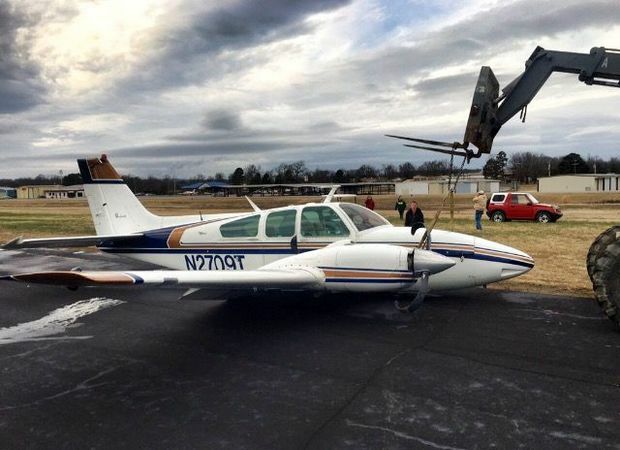 On December 20, 2015, about 1430 eastern standard time, a Beech C24R, N2074P, was destroyed when it impacted trees and terrain in Winder, Georgia. 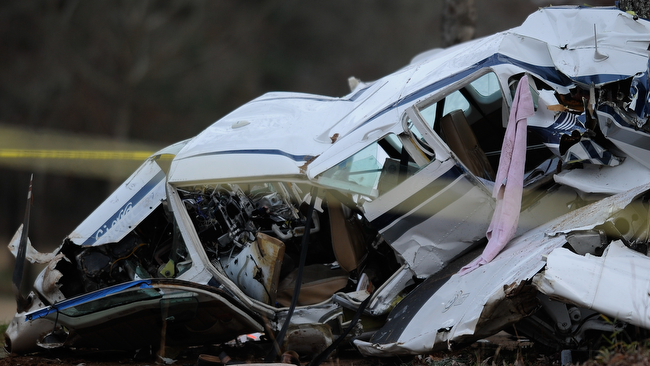 The private pilot, the sole occupant, was fatally injured. The airplane took off from Jackson County Airport (19A), Jefferson, Georgia at 1359 eastern standard time. Visual meteorological conditions prevailed and no flight plan was filed for the flight to Barrow County Airport (WDR), Winder, Georgia. The airplane was owned by Bryant and Bryant Aviation Inc. 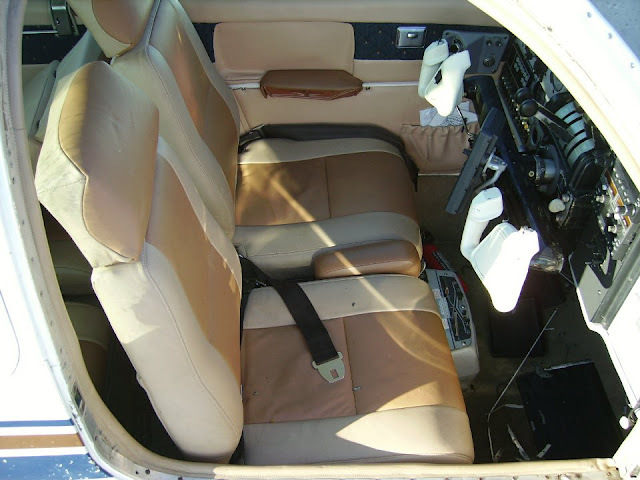 The personal flight was conducted under the provisions of Title 14 Code of Federal Regulations Part 91. Preliminary information from the Federal Aviation Administration (FAA) revealed that the flight originated at Gwinnett County-Briscoe Field, (LZU) Lawrenceville, Georgia, earlier during the day of the accident and flew to 19A, where the pilot made one practice approach and then flew towards his intended destination of WDR. Several witnesses observed the airplane flying overhead and watched as it contacted the tops trees adjacent to a fairway at a golf course. They stated the left wing was low and the airplane was losing altitude "very quickly." Also, the airplane impacted nose first and flipped 180 degrees, facing in the opposite direction. In addition, one witness stated the engine was sputtering prior to impact. Examination of the airplane at the accident site revealed that the landing gear was down, and the flaps were in the full up position. 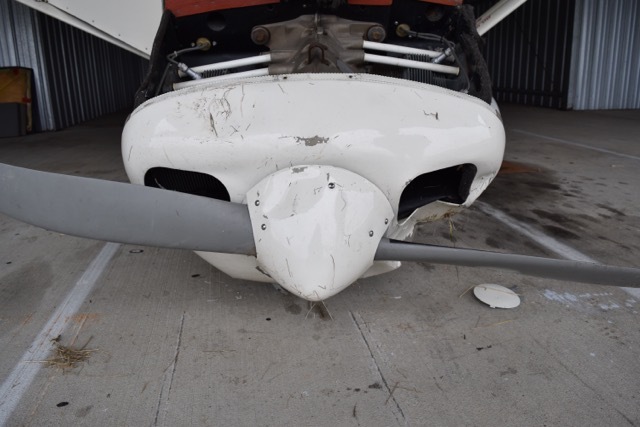 The propeller showed no signs of power, no twisting gouges or nicks were present on any of the blades. Two propeller blades were bent aft near the hub and one propeller blade was straight. There was no smell of fuel on scene, however the left fuel tank was breached in several areas and the right tank was dented. Both fuel tanks were empty upon further examination. During the initial examination of the engine and airframe, there were no anomalies noted. Cable continuity was established to all flight control surfaces from the cockpit. According to FAA records, the pilot held a private pilot certificate with a rating for airplane single-engine land, airplane multi-engine land, and instrument airplane, which was issued on October 23, 2014. He also held an FAA third-class medical certificate, issued February 4, 2015. At the time of the medical examination, the pilot reported 7,000 total hours of flight experience. 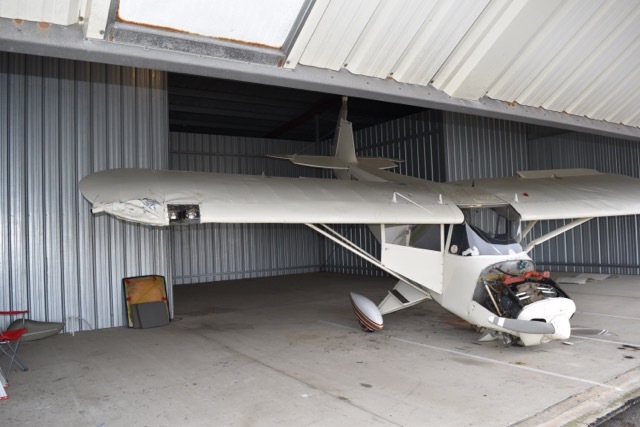 The four-seat, low-wing, tricycle gear airplane, serial number MC608, was manufactured in 1978. It was powered by a Lycoming IO-360-A1B6, 200-horsepower engine, equipped with a three-bladed McCauley propeller, Model B3D36C429. Review of maintenance records revealed that the airplane's most recent annual inspection was completed on June 10, 2015. At that time, the airframe had accumulated about 3,926 total hours of operation and the engine had accumulated 477 hours since major overhaul. 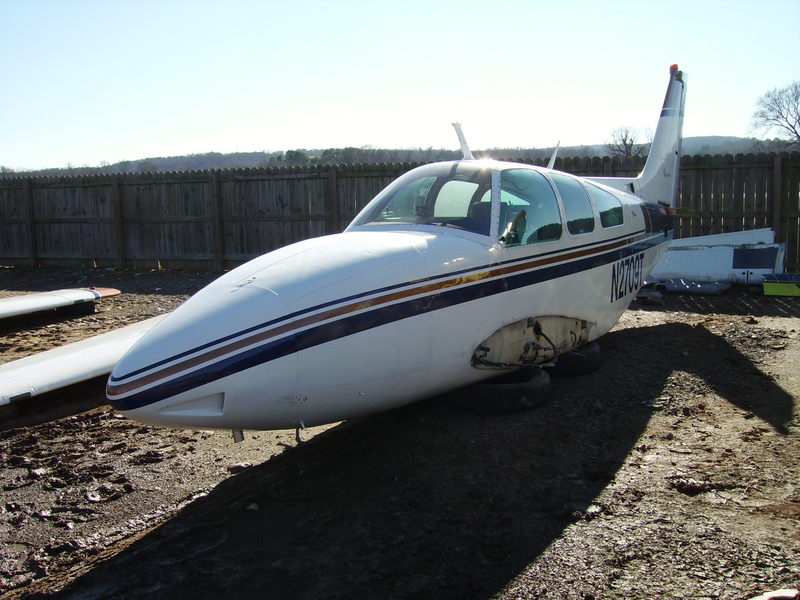 The airframe and engine were retained for further examination. 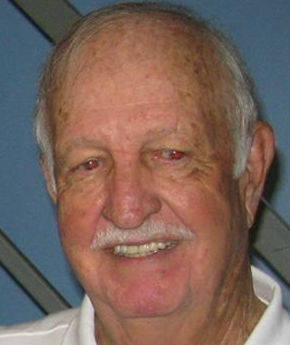 Billy K. Bryant, who died in a plane crash on December 20, 2015 received the Wright Brothers Master Pilot Award in November 2015 for 50 years of safe flying. 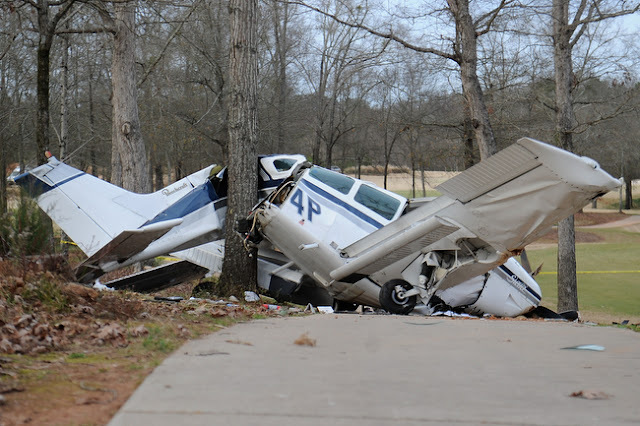 On December 20, 2015, about 1430 eastern standard time, a Beech C24R, N2074P, impacted trees and terrain in Winder, Georgia. The private pilot sustained fatal injuries, and the airplane was destroyed. 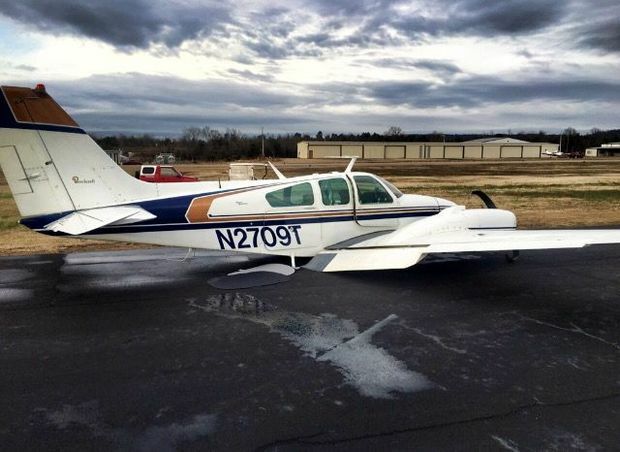 The airplane was registered to Bryant and Bryant Aviation Inc., and was being operated as a 14 Code of Federal Regulations Part 91 personal flight. Visual meteorological conditions prevailed, and no flight plan was filed. The flight originated from Jackson County Airport (19A), Jefferson, Georgia at 1359, and was destined for Barrow County Airport (WDR), Winder, Georgia. According to a fuel log found in the airplane, the airplane was last fueled on December 10, 2015, with 28.5 gallons of fuel, at a Hobbs time of 3415.9 hours. It could not be determined if the fuel was topped off. 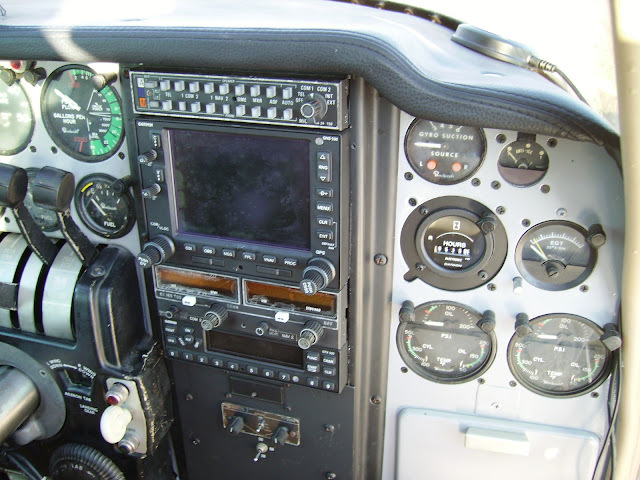 Review of data recovered from a handheld GPS receiver revealed that the pilot then flew for about 2.5 hours later that day. Further review of the GPS data revealed that on the day of the accident, the airplane initially departed Gwinnett County-Briscoe Field (LZU), Lawrenceville, Georgia. The pilot flew to 19A, where he completed one practice approach to runway 35 with a full stop and taxi to runway 17 for departure. He then flew locally for about 1 hour before flying to WDR. Over the 1.5 hour flight, he flew between altitudes of 800 feet to 4,000 feet mean sea level, except for the times of his practice approach into 19A. Several witnesses reported seeing the airplane flying overhead and then impacting treetops near a golf course. One of the witnesses stated that the left wing was low and that the airplane was losing altitude "very quickly" before it impacted terrain nose first. In addition, one witness stated that the engine was "sputtering" before impact. The witness drove to the accident scene and observed fuel leaking out of the airplane. 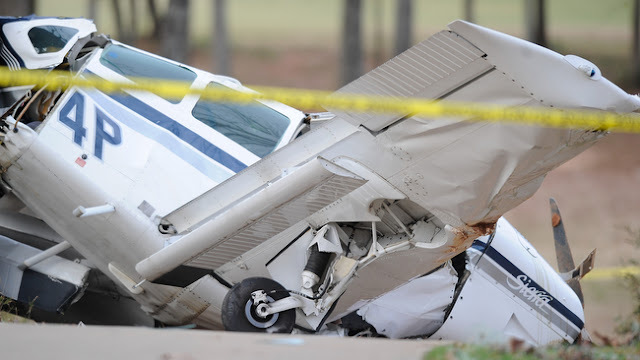 According to FAA records, the pilot held a private pilot certificate with airplane single-engine land, airplane multi-engine land, and instrument airplane ratings. He held an FAA third-class medical certificate, issued February 4, 2015. At the time of the medical examination, the pilot reported 7,000 hours of total flight time. Review of the pilot's logbook revealed that he had accumulated 7,248.7 hours of total flight time, 34.5 hours of which were flown during the 30 days before the accident. The four-seat, low-wing, tricycle landing gear-equipped airplane, serial number MC608, was manufactured in 1978. It was powered by a Lycoming IO-360-A1B6, 200-horsepower engine and equipped with a three-bladed McCauley propeller, model B3D36C429. 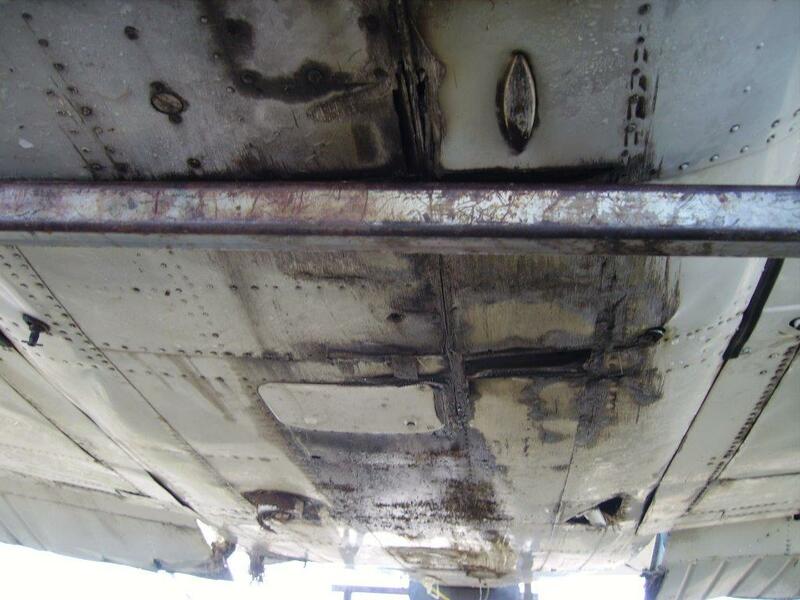 Review of maintenance records revealed that the airplane's most recent annual inspection was completed on June 10, 2015. At that time, the airframe had accumulated about 3,926 total hours of operation and the engine had accumulated 477 hours since major overhaul. At the time of the accident, the airplane had flown about 63 hours since the annual inspection. 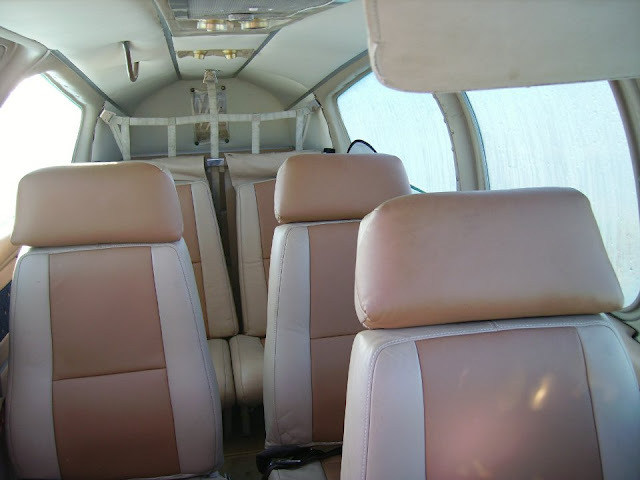 According to the Beechcraft C24R Pilot's Operating Handbook, the airplane contained two 30 gallon fuel tanks, 1.5 gallons of which was unusable in each tank. Fuel consumption calculations using data from the Lycoming Operator's manual for the O-360 model, revealed that at power settings between 45 and 75-percent power, and between best power and best economy fuel flow settings, the airplane would have an expected cruise endurance of between 4.5 and 6.8 hours with full fuel tanks. The calculation was for cruise endurance only, and did not take into account fuel consumed during taxi, run-up, takeoff, climb, descent, or landing. At 1435, the recorded weather at WDR included calm wind, visibility 10 statute miles, temperature 13° C, dew point -6° C; and altimeter 30.49 inches of mercury. The airplane came to rest upright against a tree, and the debris field was compact. The airplane had impacted treetops that were about 88 ft high and 193 ft before the initial ground impact point. There was no fuel smell at the scene. The debris path was oriented on a magnetic heading of 228°, and the airplane came to rest on a magnetic heading of 080°. Measurement of the elevator trim actuator corresponded to a neutral position. 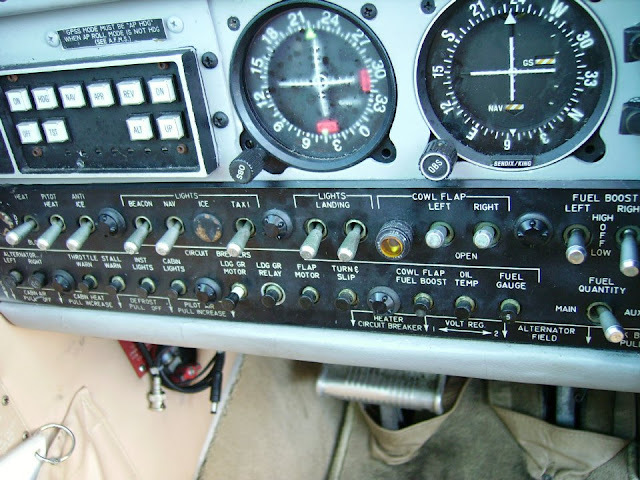 Cable continuity was established to all flight controls. 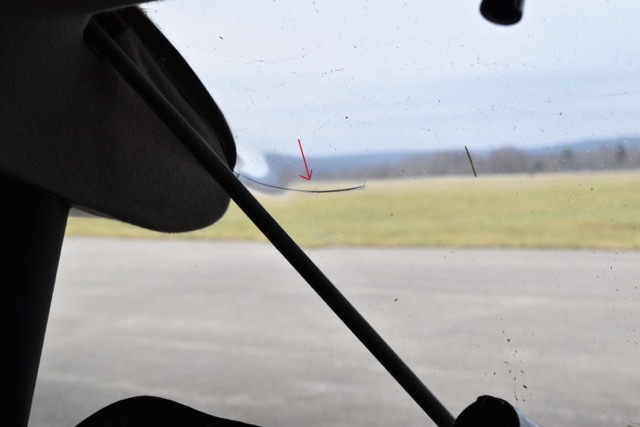 The left wing impacted the ground first, and the pitot tube was fractured off at the impact point. The landing gear was extended, and the flaps were retracted. The left fuel tank was breached at the leading edge, and there was no residual fuel in the tank. The left wing was forced into the side of the fuselage by impact forces, and the main spar was fractured at the attachment points. The outer half of the wing was torn between the flap and aileron. The right wing leading edge was crushed upward and exhibited tree impact marks near the inboard side. The right fuel tank was empty and not damaged. The Hobbs meter indicated 3419.85 hours. The aft fuselage was resting against a tree, and the empennage was partially separated about 5 ft from the stabilator. The stabilator was attached and exhibited tree impact marks. The forward fuselage and cabin section were crushed due to impact forces. The instrument panel was fractured in half, and most of the instruments had ejected out of the panel. The fuel selector was found in the left main fuel tank position. The fuel valve was disassembled and found to be partially in the left port, and it exhibited some impact damage. The engine and propeller were crushed aft into the firewall. The propeller exhibited no rotational damage. Two propeller blades were bent aft near the propeller hub. The third blade was undamaged. The spinner dome was crushed on one side and between two blades. 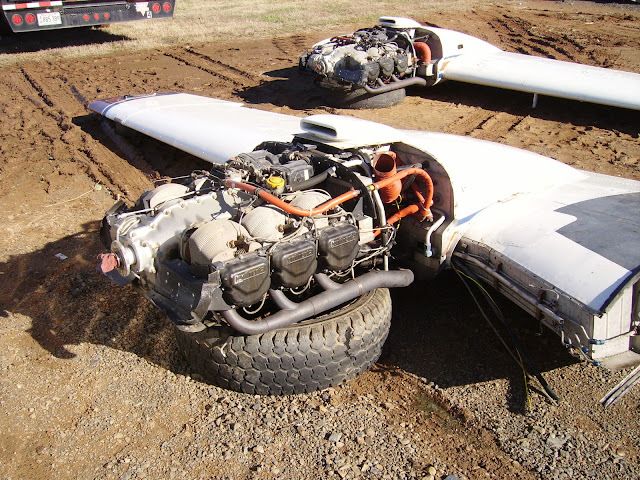 The engine was removed from the airframe for further examination. Valve train continuity was confirmed by partial disassembly and rotating the crankshaft by hand. Thumb compression was attained on all cylinders. The oil filter and oil suction screen were clear of debris. The spark plugs did not exhibit any anomalies. The fuel screen was clean and clear of debris. The vacuum pump was removed and examined. The coupling was intact and rotated freely. The vanes were intact. The engine-driven fuel pump was removed and examined with no anomalies noted. It was clean and clear of debris. The fuel pump was operated by hand and produced air. The fuel servo and fuel pump both contained about 2 teaspoons of fuel with an odor and color consistent with aviation fuel. The interiors of the cylinders were examined using a lighted boroscope, and no anomalies were noted. The propeller governor was removed and examined with no anomalies noted. The governor oil screen was clean and clear of debris. Both magnetos produced spark when rotated by hand. Oil was observed in the engine, and it was clean and clear of debris. The oil filter was cut open, and it was clean and clear of metal and debris. The oil suction screen was clean and clear of debris. The Division of Forensic Sciences, Georgia Bureau of Investigation, State of Georgia, conducted an autopsy on the pilot on August 3, 2016. The autopsy findings included "blunt trauma of the neck and torso." The FAA Bioaeronautical Sciences Research Laboratory, Oklahoma City, Oklahoma, performed toxicology testing on specimens from the pilot. The toxicology report stated that no drugs were detected in the urine, and no carbon monoxide was detected in the blood. 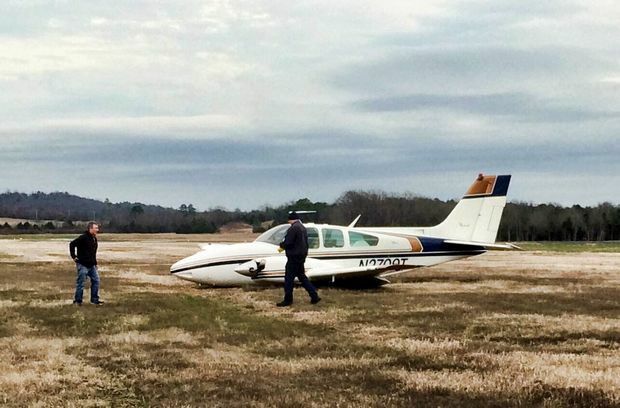 The man killed in a Barrow County plane crash Sunday has been identified as a celebrated 81-year-old Dacula pilot. Billy K. Bryant died after his small aircraft went down on a golf course at The Georgia Club country club in Statham, authorities said Monday. The incident comes a month after Bryant was awarded the prestigious Wright Brothers Master Pilot Award, which the Federal Aviation Administration gives to aviators who have maintained safe operations for more than 50 years. There’s been no word on what might’ve caused the plane to go down. Lt. Scott Dakin, spokesman for the Barrow emergency services department, said 911 calls about the crash came in at 2:30 p.m. The FAA is handling the investigation. Authorities haven’t said where Bryant, who was reportedly alone, was headed. The 81-year-old was a volunteer for Angel Flight Soars, Inc., a Chamblee-based organization that arranges free flights for people in need of travel for medical care. He started volunteering in 2006. Bryant was awarded the master pilot award on Nov. 7 during a breakfast program hosted by the Gwinnett Experimental Aircraft Association Chapter 690. In an email Monday morning, the organization notified members of his death. 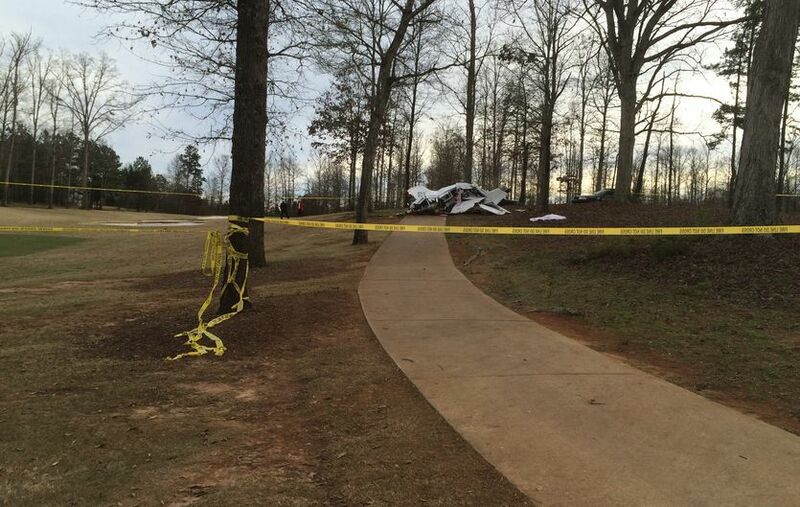 STATHAM - A small, single-engine plane crashed on the fairway of the third hole at the Georgia Club Sunday afternoon. 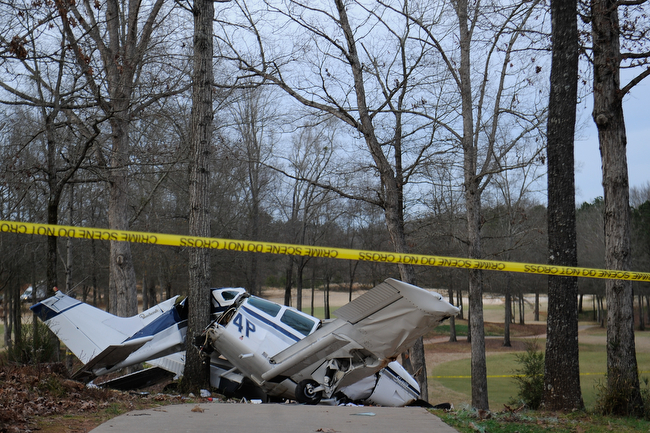 Two golfers rendered aid, but the pilot, who’s name has not been released, was deceased at the scene, according to Barrow County Sheriff Jud Smith. Law enforcement and fire fighters from Barrow County and Oconee County arrived at the private club and neighborhoods on Highway 316 shortly after 2:30 p.m. The investigation was then turned over to the Federal Aviation Administration. Details about the pilot, the plane’s flight plan and what led to the crash were not released. 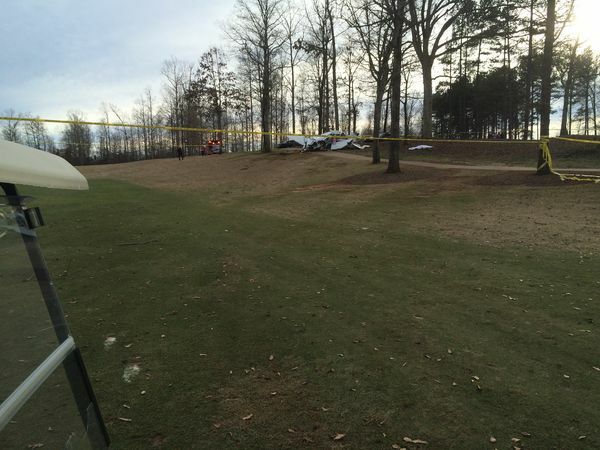 BARROW COUNTY, GA - A pilot died Sunday after crashing his small plane onto a golf course in Barrow County. Emergency responders from Barrow and Oconee Counties responded to The Georgia Club located in Statham, GA. near Chancellor's Drive around 2:30pm Sunday. 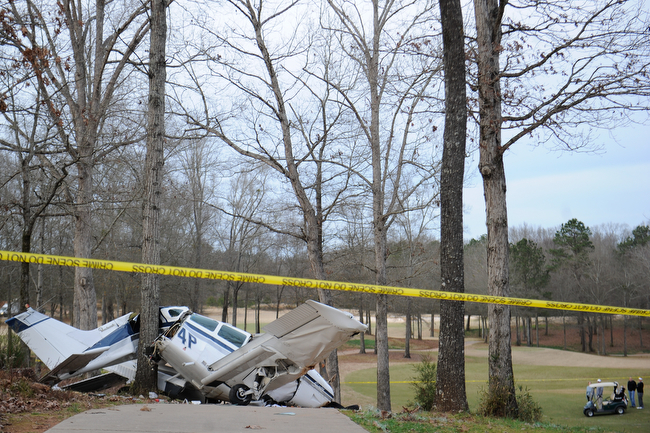 Two witnesses told investigators they were playing golf when the plane clipped some trees and then fell to the ground. The impact scattered debris over a wide area of the course. Those witnesses tried to help the pilot, but he died at the scene. Barrow County authorities described the plane as a small, two to three seat model with a single engine. 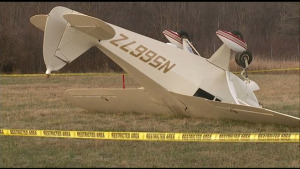 The Federal Aviation Administration will take over the investigation into the crash. Authorities have not released the pilot's name, but people who live in The Georgia Club said he was a member. 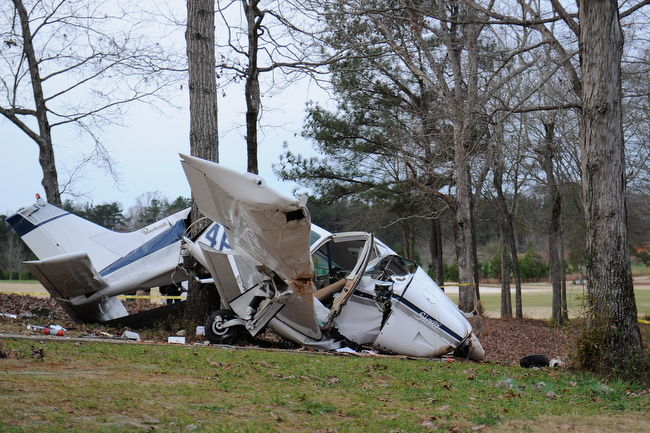 The pilot of a small plane died Sunday afternoon after crashing onto the golf course at a Barrow County country club, authorities said. Barrow County Sheriff’s Office spokesman Lt. Scott Dakin said the crash happened around 2:30 p.m. at The Georgia Club, a golf community off Ga. 316 near Statham. The plane crashed on the third hole, crossing over the fairway before landing in the woodline. Golfers were on the course but no injuries were reported, Dakin said. The pilot, whose identity has not been released, was the only person on the plane, Dakin said. Federal Aviation Administration spokesman Jim Peters identified the plane as a Beechcraft BE24. “The FAA will investigate and the National Transportation Safety Board will determine the probable cause of the accident,” Peters said in an email. Why the plane was in the area was unclear. Athens-Ben Epps Airport is about 20 miles east of the crash scene, and the Gwinnett County Airport at Briscoe Field is about 25 miles west. BARROW COUNTY, Ga. — The Barrow County Sheriff's Office confirmed a plane crashed at the Georgia Club on Chancellors Drive in Statham. The Sheriff's Office says the plane crashed on hole number three. 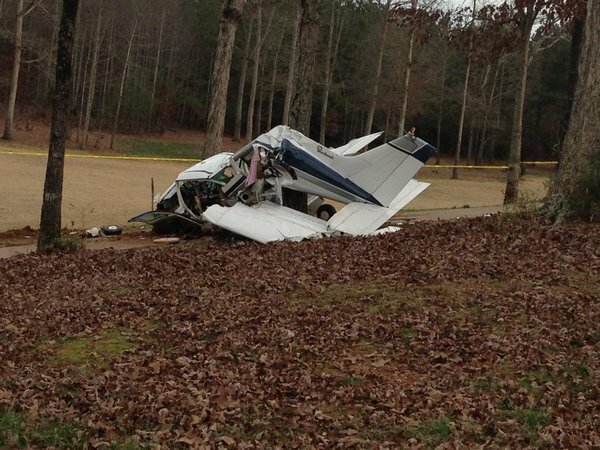 According to the Barrow County Sheriff, the plane's pilot was killed in the crash. 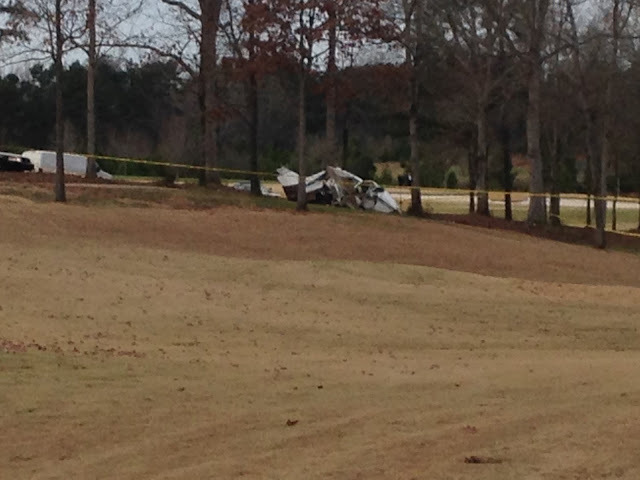 Investigators say no one else was in the plane or on the golf course at the time of the crash. 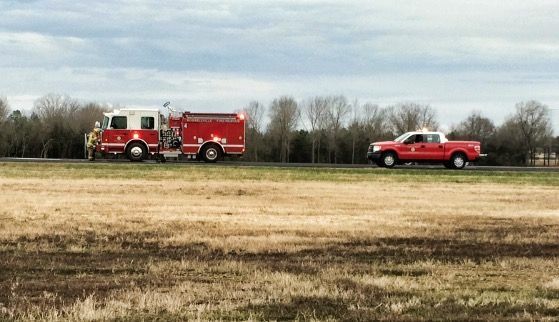 STATHAM, Ga. -- Barrow County officials have confirmed that a plane crash has left one person dead. 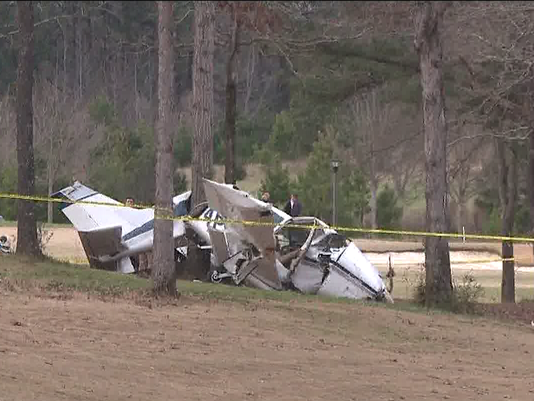 The incident happened near the Georgia Club golf course in Statham, Ga.
A preliminary report from Sheriff Jud Smith was that the only occupant of the plane, the pilot, has been confirmed dead. 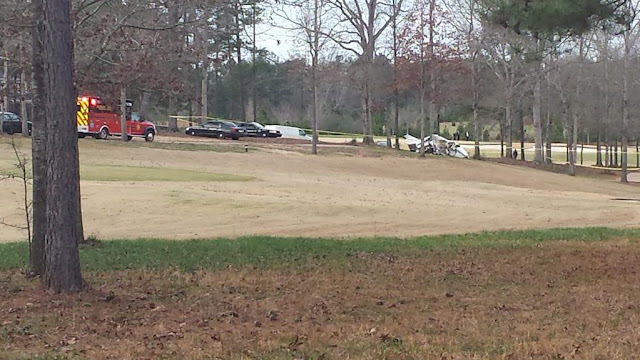 BARROW COUNTY, GA (CBS46) - One person is dead after a plane crashed into a golf course near the Georgia Club subdivision in Barrow County Sunday afternoon, according to Lt. Scott Dankin with Barrow County Fire. 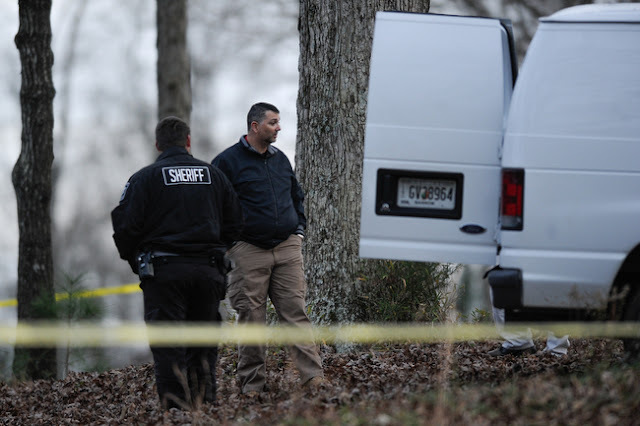 Dankin said the crash occurred at the Georgia Club subdivision in Statham, GA, near Chancellor's Drive. Dankin said as for 2:30 p.m. there were no details regarding possible injuries or fatalities. They launched their response around 2:30 Sunday afternoon, according to a tweet from the group.